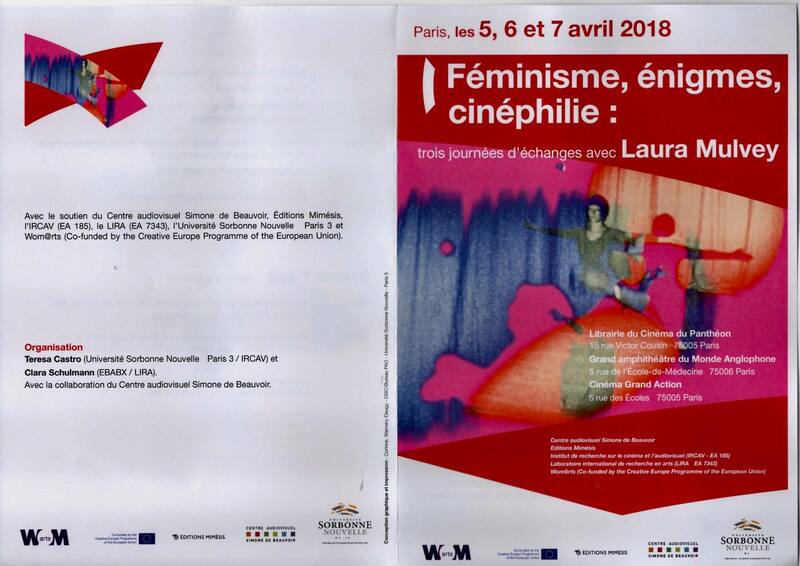 Wom@rts partner Centre audiovisuel Simone de Beauvoir organized a three-day event with British feminist film theorist Laura Mulvey in the frame of Wom@rts activities. On the first day Mulvey presented her last book Beyond visual pleasure. 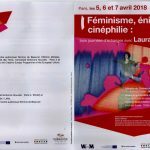 Feminism, enigmas, cinephilia (Mimesis, 2017). 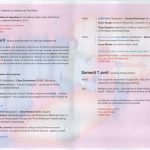 The discussion about her work followed the next day with three discussion panels with guest artists, filmmakers, critics, and researchers. On the last day two films were projected: All that the sky allows, Douglas Sirk, 1955 and Riddles of the Sphinx, Laura Mulvey and Peter Wollen, 1977. 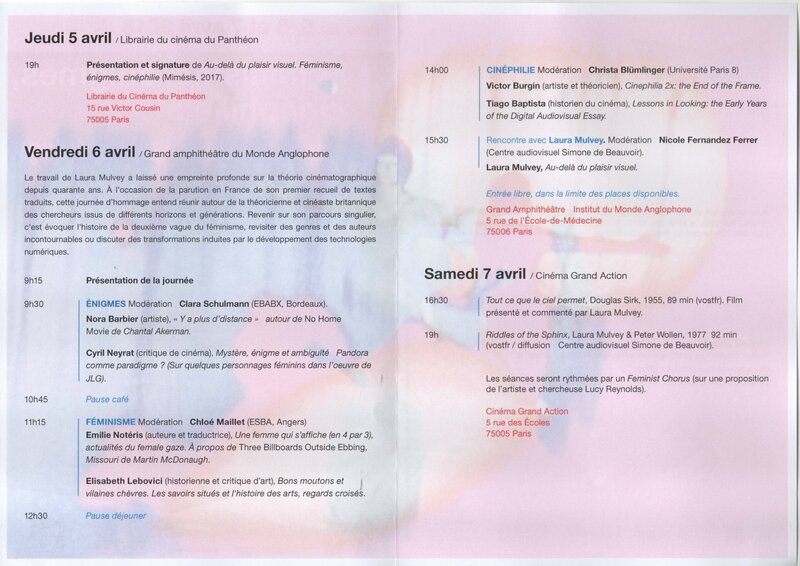 The event was organized with the support of the Simone de Beauvoir Audiovisual Center, Mimesis editions, IRCAV (EA 185), LIRA (EA 7343), Sorbonne Nouvelle-Paris 3 University and Wom@rts (co-funded by the Creative Europe Program of the European Union). 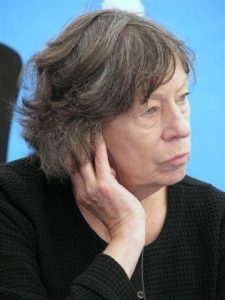 Laura Mulvey (born 15 August 1941) is a British feminist film theorist. She was educated at St Hilda’s College, Oxford. She is currently professor of film and media studies at Birkbeck, University of London. 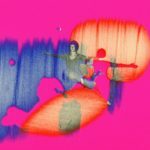 She worked at the British Film Institute for many years before taking up her current position.Mulvey is best known for her essay, ‘Visual Pleasure and Narrative Cinema’, written in 1973 and published in 1975 in the influential British film theory journal Screen. It later appeared in a collection of her essays entitled Visual and Other Pleasures, as well as in numerous other anthologies. Her article, which was influenced by the theories of Sigmund Freud and Jacques Lacan, is one of the first major essays that helped shift the orientation of film theory towards a psychoanalytic framework. Prior to Mulvey, film theorists such as Jean-Louis Baudry and Christian Metz used psychoanalytic ideas in their theoretical accounts of the cinema. Mulvey’s contribution, however, inaugurated the intersection of film theory, psychoanalysis and feminism.